Jewish Jesus - Art Exhibit: Repainting the Last Supper... Women and Children at the Seder meal. 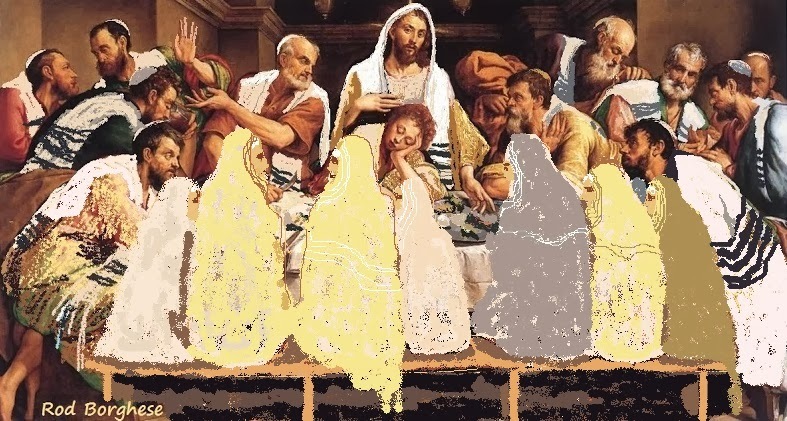 Repainting the Last Supper... Women and Children at the Seder meal. Very nice . Yes if it was a seder Meal there would have been women and children.